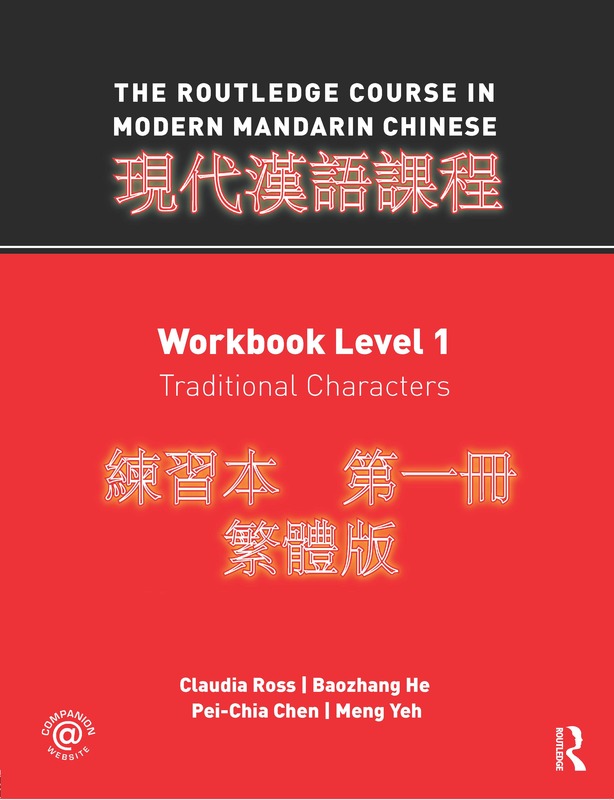 The Routledge Course in Modern Mandarin Chinese is a two-year undergraduate course for students with no prior background in Chinese study which takes students from complete beginner to post-intermediate level. Designed to build a strong foundation in both the spoken and written language it develops all the basic skills such as pronunciation, character writing, word use and structures, while placing strong emphasis on the development of communicative skills. Each level of the course consists of a textbook and workbook, available separately in simplified or traditional character editions. Both workbooks include a free CD with all the dialogues from the textbooks and the necessary audio for the listening for information exercises. A companion website will provide expanded listening files and a broad range of resources for students and teachers. -full-color text design for the textbook and carefully matched designs for the traditional and simplified books, allowing for easy cross-reference. The course is also fully supported by an interactive companion website. The website contains a wealth of additional resources for both teachers and students. Students will be able to access downloadable character practice worksheets along with interactive pronunciation, vocabulary and character practice exercises. All the audio material necessary for the course is also available onliine and conveniently linked on screen to the relevant exercises for ease-of-use.